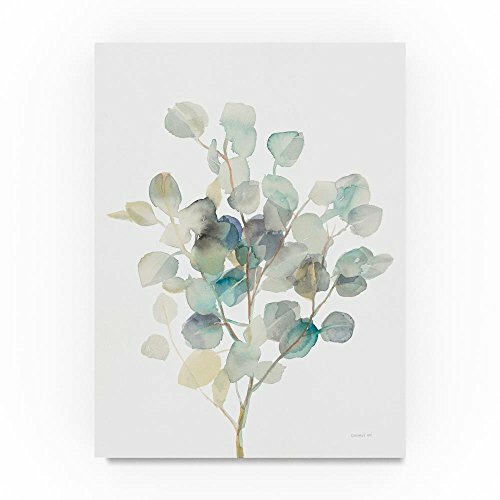 This ready to hang, gallery-wrapped art piece features a large watercolor plant in the center of the frame. Danhui Nai was born in mainland China and raised in an artistic household with her sculptor father and painter mother. Her natural passion for art was guided through classical training which she applies in her California studio to create beautiful, on trend artwork in a variety of media. She studied interior design later in Paris and new York city. She worked in the textile industry in Manhattan, where she continued her studies and artistic development. Giclee (jee-clay) is an advanced printmaking process for creating high quality fine art reproductions. The attainable excellence that giclee printmaking affords makes the reproduction virtually indistinguishable from the original piece. The result is wide acceptance of giclee by galleries, museums, and private collectors. Gallery wrap is a method of stretching an artist's canvas so that the canvas wraps around the sides and is secured a hidden, wooden frame. This method of stretching and preparing a canvas allows for a frameless presentation of the finished painting.